"I will continue to work on in terms of power and clearing the ropes," Root said. Joe Root has been a phenomenal player for England when it comes to Test cricket and is regarded as a modern day great. However, there has been some talk about the England and Wales Cricket Board (ECB) not wanting to include their recently appointed Test captain in future Twenty20 competitions. The talk of leaving Root out of the Twenty20 side might well sound a bit surprising. He is currently ranked fourth in the world in the shortest format of the game, while the only other England batsman in the top 10 is Alex Hales. The English team has a bunch of six-hitting batsmen in their ranks currently and thus the management is quite keen to pile up their top order with sheer strength. Root’s lack of rope-clearing prowess as compared to some of his counterparts goes against him. When compared with the eight players who are a regular part England’s T20 side, Root has the highest balls-per-six ratio, clearing the boundary once every 34 deliveries. Among the eight, he also has the third lowest strike rate (runs per 100 balls). Only Jason Roy and Moeen Ali are ranked below him. “I will continue to look to improve that side of my cricket. There are definitely areas I will continue to work on in terms of power and clearing the ropes. But over a relatively short international career, I’ve found ways of adapting and developing different ways of scoring runs quickly. I don’t see why I won’t be able to do it in the future as well,” the Test skipper added. 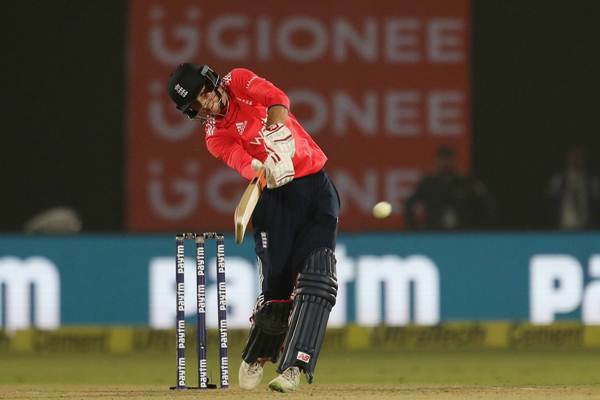 Meanwhile, Root surprised everyone in their recently concluded two-match ODI series against Ireland by claiming five wickets with his off-breaks. This now opens the possibility that he might well be England’s second spinner during the Champions Trophy.